If you are looking to learn more about key figures in Chinese history and mythology, this book will serve your purpose through brief (2-3 page) character sketches that hit the highlights. However, if you are looking for something like the “Book of Chuang Tzu” with clever morality tales, that’s not at all what you’ll find in this book. There are a couple of exceptions, but they are rare nuggets. Each of the 40 chapters provides one character sketch of life events with a brief bio at the end. The 40 chapters are divided into five parts by the class of individual being mentioned (i.e. the eight immortals, sages, magicians, diviners, and alchemists.) There is a line drawing (reminiscent of block print) for each of the chapters that depicts the immortal in action. The only ancillary matter is a brief introduction. As I suggested, if one is looking for information about the lives of Taoist immortals, one may find this to be a good source—particularly if one doesn’t want to get bogged down in minutiae. The entire book is less than 200 pages. On the other hand, if one is looking for stories or morality tales, one will likely find this book leaves one wanting. 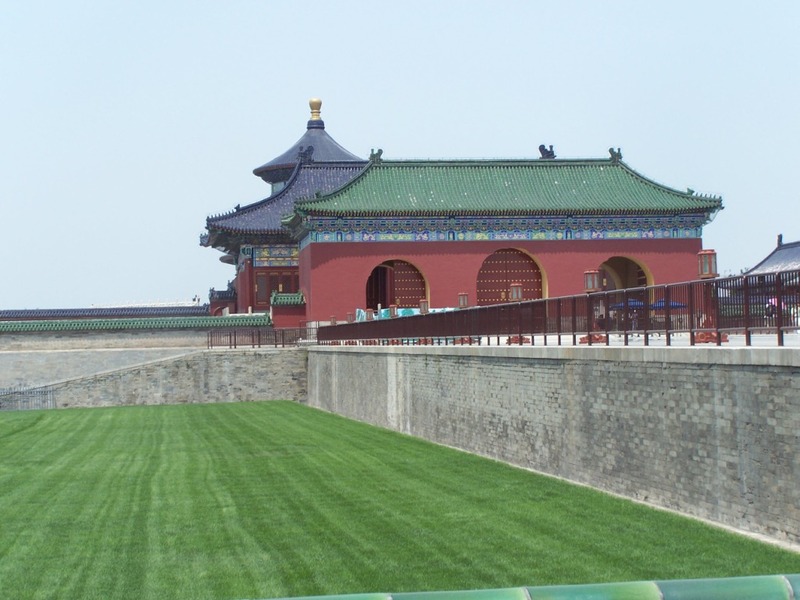 The Temple of Heaven is a complex of buildings used for Heaven worship. It was built in the 15th century, and is a Taoist temple (Heaven worship predates Taoism–though the Temple doesn’t.) The most distinctive building, the Hall of Prayer for Good Harvests–shown only partially in the picture–was built without any nails or spikes. It’s located in a beautiful park south of central Beijing. The park has a rose garden and is a popular hangout for people doing tai chi, playing instruments, and dancing.